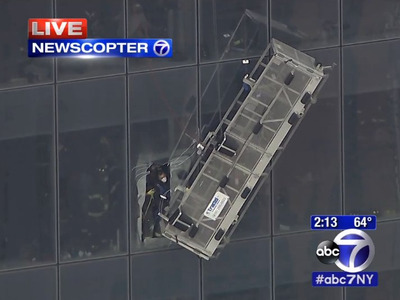 Two window washers were rescued after being trapped on a dangling scaffolding in downtown Manhattan, CBS New York reports. The window-washing scaffolding is now hanging from the 1 World Trade Center skyscraper near the 68th floor. The workers were secured in the scaffolding after a cable broke and it began to hang from the building. 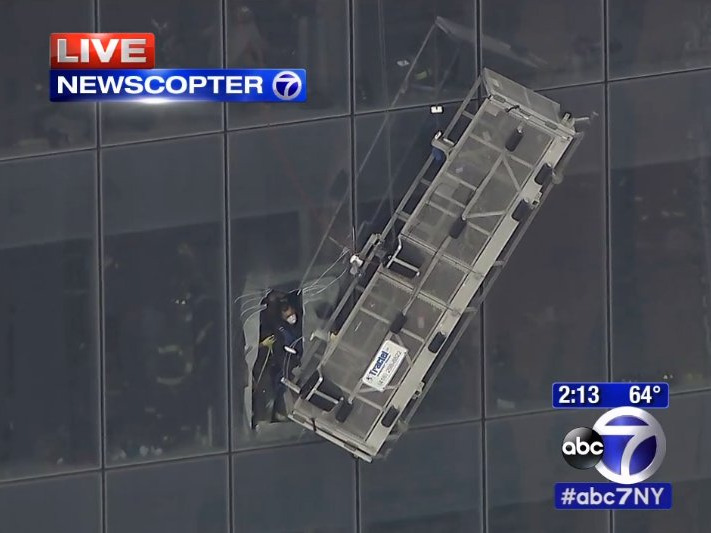 The windows on 1 World Trade Center aren’t removable, so rescue workers had to cut through the glass on the building to free the workers, according to ABC7 New York. New York fire department officials said the workers didn’t appear to be in “imminent danger” while they were waiting to be rescued, according to NBC 4 New York.